BUT WE CAN ALSO USE THEIR POTENTIAL. Quality of our work depends mainly on quality of technologies. This is also the reason why we use only the best ones. 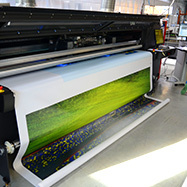 UV LED printing technology is used for quick printing in high quality. 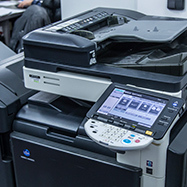 UV LED lapms are used for curing and drying ink, which brings significantly higher stability of production. 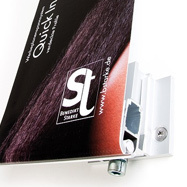 Ink curing means constant and reliable repeatability of orders with quaranteed colouring. 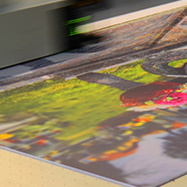 We use digital UV technology to print attractive materials with almost photorealistic quality. Those can be then manufactured into interesting shapes. 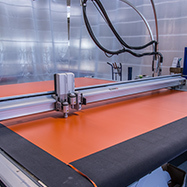 It is a modern technology which enables us to print almost on anything – PVC sheets, plexiglass, wood, glass, ceramics, aluminium, polystyrene or thermacol, paper, corrugated cardboard and banners, fabrics, etc. It is mainly suitable for exterior advertisements. It can be also used for interior advertisements, low-cost advertisements and the advertisement which does not need high definition. 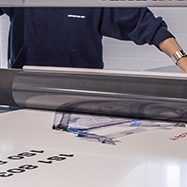 Solvent printing is UV resistant, water resistant and mechanical damage resistant. 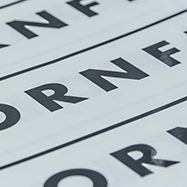 Lamination gives printed materials added value – that is protection against scratching, staining, UV rays and wetness. 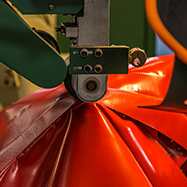 ROLLSROLLER Flatbed applicators are used for coating flexible or firm materials up to 6 cm thick with adhesive film. 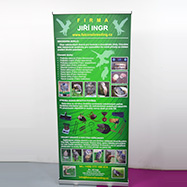 Final products are for example banners, orientation systems, traffic signage or application on glass. Trailer tarpaulin covers, boat tarpaulin covers, etc. High frequency welding is mainly used for connecting PVC materials. 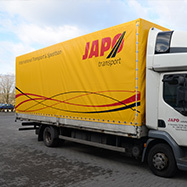 We also use it when manufacturing biogas membranes or gas tanks. High frequency welding technology ranks among the most modern PVC welding of the highest quality. Hot air welding technology is used for welding and repairing of vehicle tarpaulins. 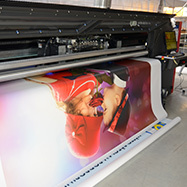 We offer high-quality print of canvas, kapa boards, aluminium boards or photo wallpapers. You can order any size you like or you can choose from our wide offer of formats. 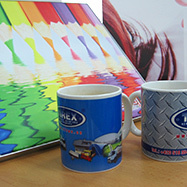 Direct UV printing to various types of board materials includes following processing according to your requirements. It allows us to print directly on to almost any flat surface as thick as 5 cm. We are able to print with white paint and partial varnish. Individual and compact advertising surfaces. We supply both printing and holders. 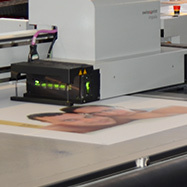 Overall processing and istalation of Tecosign system which is used for framing and stretching of large banner and fabric prints. Gazebos, circus tents, stalls, etc. 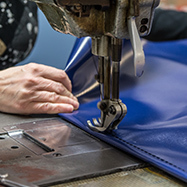 Tarpaulins are supplied including insallation. However, if required, customers can install them by themselves. Advantages: Possibility of printed tarpaulins. Wide selection of colours. We produce stalls with the following coating: PVC tarpaulin, polyethylene mesh fabric POE, PAD. We provide Non-flammability Certificate with circus tents. 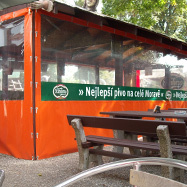 You can see our tents for example at circuses Jo-Joo, Kaiser, Novotný, Navrátil. 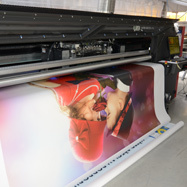 Printing on PVC banners, adhesive films, papers and various special materials. 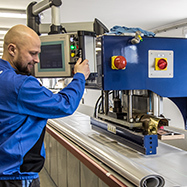 We use Swiss table cutting systems Zünd for final cutting and milling. They rank among the best in the world in the category of precise and high-performance plotters. The technology can cut various shapes according to clipping path and mill dibond panels and aluminium sandwich panels. Simple or large 3D car decals. From design to realization. Various materials are cut with a plotter MIMAKI CG FX. It is able to cut quickly and precisely even the most complicated contours. 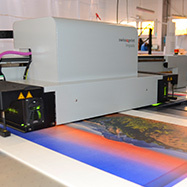 The high-speed plotter has automatic crop-mark detection, which makes it possible to cut vinyl but also to cut precise contours of pre-printed graphics on various vinyl materials and materials used for signmaking. Six professional sewing machnies are used for sewing PVC. We use them when it is not possible to use welding of PVC.